Singapore is on the fast track to becoming the world's first smart nation. 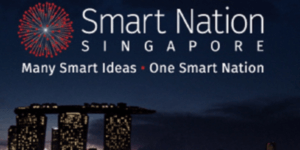 In November 2014, the country's Prime Minister Lee Hsien Loong launched the Smart Nation Programme which seeks to harness ICT, networks, and data to support better living, create more opportunities, and to support stronger communities. Mr. Lee lamented: "Smart Nation is not just a slogan. It is a rallying idea for us all to work together, to transform our future together." Currently the Smart Nation programme has entered its "build" phase, which will focus on the infrastructure and services that will serve as the framework for future development. Minister for Communications and Information Yaacob Ibrahim earlier this month highlighted that the Infocomm Media Masterplan will put in place the necessary infrastructure and that the three areas of focus would be Smart Health-Assist, Smart Nation Tech Challenges and Smart Logistics. Smart Logistics will leverage on technologies such as the IoT to provide near real-time actionable visibility and improve decision-making capabilities for businesses large and small. Smart Health-Assist will use sensors to allow patients to better manage their conditions from the comfort of home while allowing them to remain independent and active in the community. Smart Nation Tech Challenges will involve the wider community to co-innovate solutions to tackle urban challenges. One of the challenges is on video analytics, and how audiovisual data can be used in public safety, resource utilisation and situational awareness. Ms. Mui Hoon Poh, CEO of SP Telecommunications (A member of the Singapore Power Group) will be delivering a presentation at 5th edition of Asia IoT Business Platform in Jakarta this August on the nation's vision and also describe how Singapore Power as a group is supporting this vision. SP Telecommunications owns and operates a key communications network in the country while Ms. Poh has extensive experience in technology, electronic commerce and cloud computing businesses across the Asia Pacific region. In addition, Ms Poh has been a key role in Singapore’s national information and communications master planning efforts over the years.